Welcome to the official homepage of the British Columbia Kitefliers Association, (BCKA). The BCKA was founded in 1980 and incorporated under the Society Act of British Columbia as a nonprofit organization. The members believe that kiting is for all ages and abilities. There are many aspects to kiting, from building kites to flying recreationally as well as competitively. Members of the British Columbia Kitefliers Association build and fly kites of many descriptions. These include: traditional, sport, miniature, arches, trains, bolls, single, multi-line, indoor, and traction kites used for boarding, buggying and surfing! Members get together for regular Fun-Flys, workshops and participate in festivals and competitions locally and world wide. Although most members are located in British Columbia, our mailing list extends to many parts of the world. Like most kite clubs, the BCKA encourages the promotion of any kite related event anywhere in the world. We encourage kitefliers and kite-builders of every description to share their knowledge and enthusiasm with the public. The BCKA publishes the “Windsox”, a quarterly news letter which is included with annual membership. 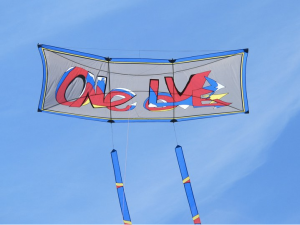 Any kite related articles, letters, pictures, anecdotes and up-and-coming events that you can provide are greatly appreciated and can be submitted to the Editor. To find out more about the BCKA, we encourage you to explore the rest of our site.